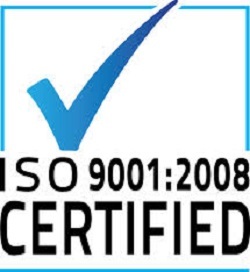 Being the first ISO 29990 Certified Graduate Professional Credentialing Society is not an easy task, but we achived accreditation and also were awarded ISO 9001 Certification in Europe/Internationally. Professional credentialing and development are undergoing a revolution around the world. Because we have paid attention to executives globally for over a decade, we are innovating with new methods of metrics, technology, standards, accreditation, & pedagogy and development styles. Because of our innovations, we can promote greater learning principles and new strategic thinking to professionals much more efficiently than traditional methods. While some in the business simply offer narrow choices of learning methods, the GAFM ® was established largely by innovators, experts, professors and leaders from the ‘real world’ by integrating top tier certification, assessment, accreditation, professional development criteria, graduate and standards. Rather than create a single, all encompassing designation, the GAFM® has taken a research based approach to our charter and certification structures and created specialist designations for a wide range of careers in the banking, management cosulting, accounting, risk, and finance sector. Each designation is targeted at a specific skill-set required to perform a role in the finance domain with world-class expertise. As such, GAFM ® approved certification degree paths, executive programs, and graduate requirements ensure that each professional maintains the highest standard of demonstrated capability in their area of proficiency. Key advancements for Board have been made in the last 10 years. We have expanded our operations globally with new offices in the EU, Middle-East, China, Latin America, India, West Indies, Africa and throughout Asia. Graduate education and assessment for our core qualifications are possible through more than 800 of the world’s leading government recognized business schools as a result of our mutual articulation agreements with the ACBSP Accreditation Agency and the recognition of the AACSB. Member growth is accelerating with GAFM ® Members & Fellows in over 150 countries as of the time of printing. Our fastest growing regions are Latin America, China, the Middle-East, South Asia, Africa, and India at this time, with several hundred members joining each month through our providers in California, New York, Cairo, Beijing, Singapore, India, Hong Kong, UK, Africa, India, Mexico, and elsewhere. Corporate players like Reuters, UBS, HSBC, Kaplan, Deerborn, BISYS, The TJSL Law School, Half of the top 10 banks in the world, ACBSP, AACSB, Chinese Government, and others have been of great assistance in establishing a strong reputation as a key player in the International sector. The 2003 opening of our Offices in Singapore was one of the steps we’ve taken to support this exciting demand in the EU, India, Asia, The Middle East region and beyond. While the GAFM does not offer training directly, we do have major training distribution partners worldwide much like other leading certification bodies. The difference is that the GAFM® utilizes accredited exams and courses as a path to certification. With the establishment of our offshore consulting divisions in 1999, forming alliances with National Underwriter, and our expansions throughout Asia, Arabia, Africa and India, the GAFM approved consulting and training companies have been extremely successfully in educating governmental employees, departments, staffs, corporates and NGOs around the world. With our recent consultative work with the United Nations and US Government, our scholarship, research, and charitable outreach continues to grow.